I've made some progress on my newest endeavor... quite a lot actually, I only have 3 blocks left to go! 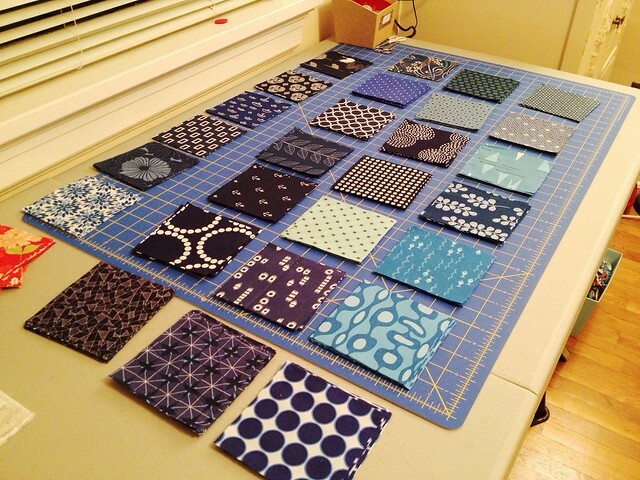 I know scrappy quilts are supposed to be really random and stuff, but I tend to pre-select the fabric for each block to make sure that the values and scales of fabrics are spread out evenly. (I did this with Long Strange Trip too) It's not rocket science, and I'm not super fastidious about it. But I did have a little bit of a time during Sunshine Daydream, when I was trying not to repeat the same prints in different colors in the same block. That didn't work out too well. I thought it would really bother me when the quilt was done, but it doesn't in the least. And I think that quilt is my favorite of all the ones I've made at this point! SO... I sat down with some netflix on Sunday night and cranked out a few blocks. I did six the first night I started the quilt, just to get an idea of how it would look, so that means I only have three left! I'm stoked to get this quilt finished, it's going to be for my grandmother, who has been very ill recently. What a great idea with the plates! You are surely well organized. Thanks for sharing this idea. Next time I make a quilt I will have the plate idea in my mind. Stopping from Sew Cute Tuesday. 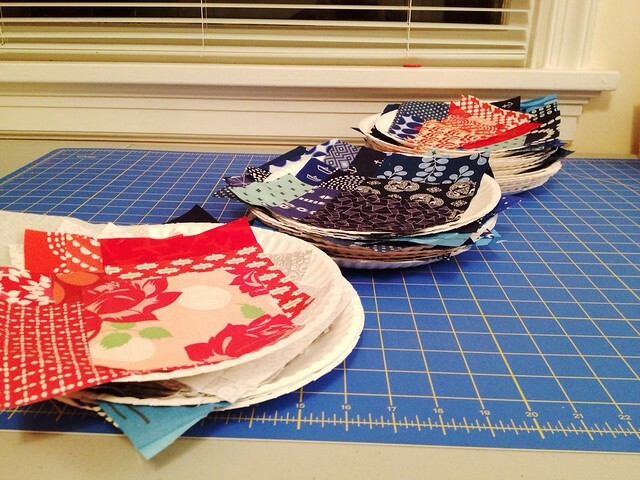 I've seen you use the paper plates for organizing your blocks before - I think I actually need to do this myself! It would make a lot of my projects go even faster. 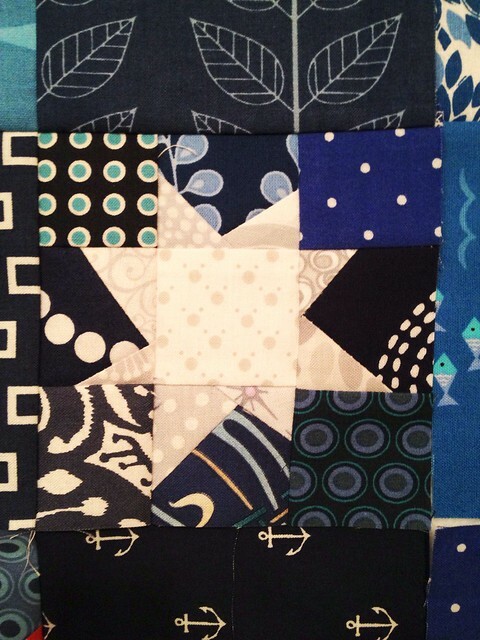 I completely agree that even scrappy quilts need balance in color and value. I always sort into color piles and choose my blocks carefully, but I usually grab them on the fly. 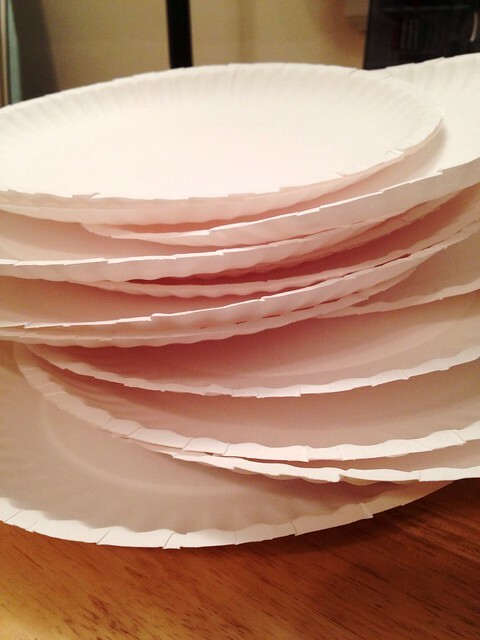 I might have to try using the paper plates. That's a great idea! Its lovely! The star is really nice. Cant wait to see it come together! Oh my, that star is teeny tiny and oh-so-cute! This is no doubt going to be a lovely quilt. Congrats on getting so much done - that star is very sweet!! 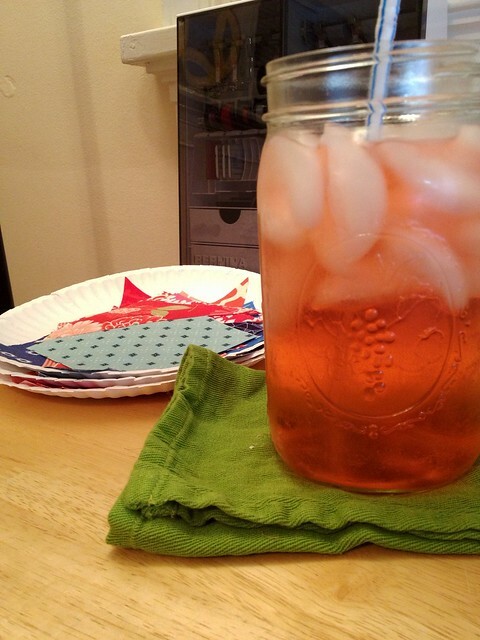 I love the idea of using the paper plates to keep things separate. Genius! I like the navy too! And the the reds. Also..love the names of your quilts. Made me smile as I sit in the guest room/office/the one room the Hubs got to decorate...I think you would like it, there are dancing bears along with a steal your face or two on the shelves and a few other things from tours past. And let's not even get into the t-shirt collection... BTW...Your Sunshine Daydream quilt is lovely, so fresh and springlike. 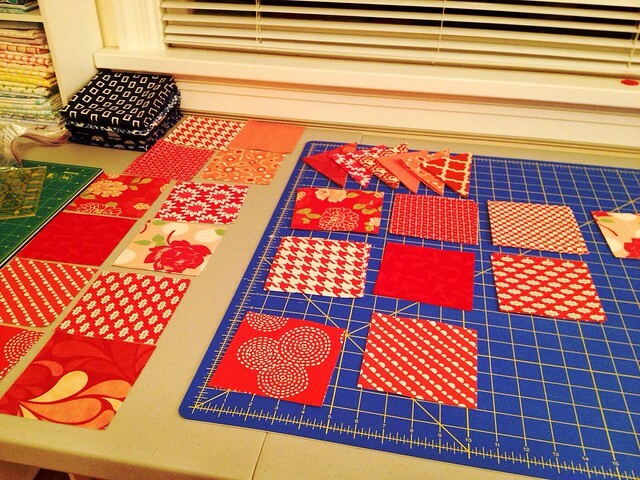 Scrap quilts are my favorites, they are quite an art!